1 Cut white bread into small cubes, pour milk over and let stand for about 30 minutes. 2 Heat butter in a pan and saute onion until soft. Combine onion, cheese, parsley, flour, eggs and spices with white bread and mix well. 3 Shape about 8-10 dumplings from the mixture and arrange in a bowl. Cover and cook in microwave oven for about 6 minutes at 600 watts and then for about 5 minutes at 450 watts. 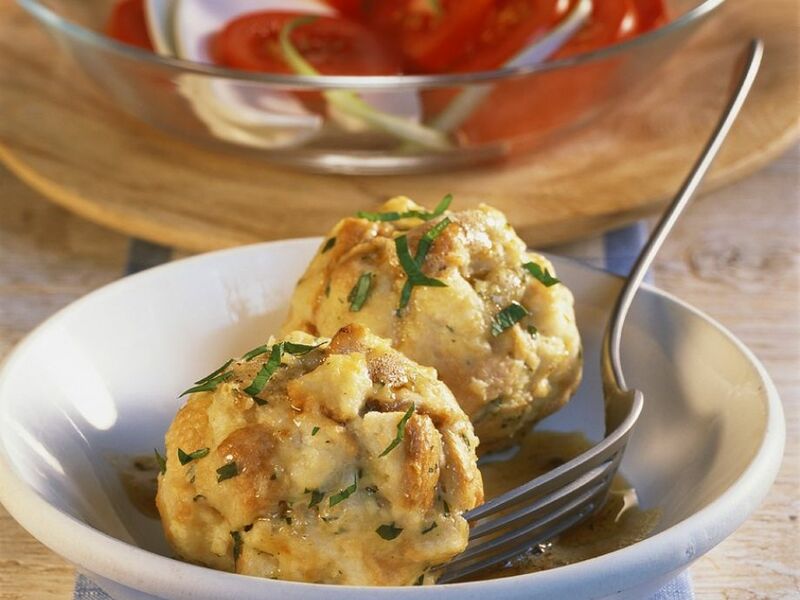 4 Drizzle dumplings with brown butter and serve with tomato salad, if desired.